The United States dedicates more land to growing grass than any single food crop. Lawns occupy 45 Million acres of land in the US according to NASA and NOAA figures. In fact, the combined area of US lawns is larger than 65% of the nations on Earth. Fortunately, all of that turfgrass is helping to reduce flooding, prevent erosion, fight urban heating, and even scrubbing CO2 from the air. At 70,312 mi2 American lawns are larger than Georgia, Florida, and New York by a fair margin. That amount of grass requires a lot of water, sunlight, soil, and CO2 to sustain. In fact, grass is essentially a solar-powered CO2 eater. 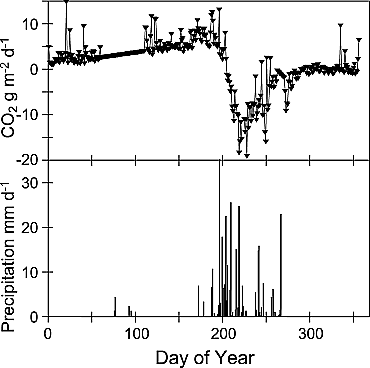 Turfgrasses pull in CO2 from the air during photosynthesis by opening small airways known as stomas. This allows CO2 to enter the plant where it chemically reacts with an enzyme called Ribulose Biphosphate (RuBP) within the stroma. The carbon is then removed and processed with water and other nutrients to produce glucose (C6H12O6), leaving the oxygen (O2) as a waste product along with a chemical precursor to RuBP, thus perpetuating the cycle. It’s this mechanism that allows grass to pull carbon out of the atmosphere and capture it. Eventually the carbon is put back into the soil when the grass is mowed and the clippings are left, completing the process known as carbon sequestering. 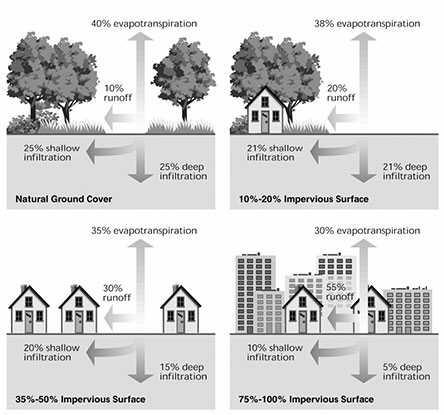 Turfgrasses uptake 14.7 – 33.3 Million metric tons of carbon, per year, based on several carbon uptake studies. That is the same impact as taking 5.2 Million cars off of the road every year, or turning off the biggest coal power plant in the United States. It’s enough to offset the CO2 emissions of 3,233,177 US households (EPA figures), or 151,174 if you’re Al Gore. Lawn grasses fall into two categories, C3 and C4. There’s further segmentation of the different plant species and structures of course, but these two are worth knowing. C3s are named for their initial 3-carbon molecule during photosynthesis and are essentially your cool-season grasses like perennial ryegrass and bluegrass. Likewise C4 grasses produce an initial 4-carbon molecule during photosynthesis, are known for their heat tolerance, and include St. Augustine, Bermuda, and Bahia grass. It’s important to cultivate the right type of grass for your region to maximize carbon sequestion, plant health, and lawn quality. Grasses offer basic amounts of filtration when placed strategically next to sources of dust and pollution. Taller plants like bushes and trees are a superior option and offer significant improvements with larger particles in the 2.5 – 10 micron range. A while back the US found itself in the midst of a serious problem that would later be called the “Dust Bowl.” At the height of the Depression, farmers from other parts of the country unknowingly decimated over 100,000,000 acres of land. Unfamiliar with farming on praries and armed with the latest agricultural machines they plowed their fields too deeply. This uprooted and killed the native grasses that held the top soil. The death of native grasses combined with repeated crop failures from a persistent drought lead to 70+% of the top soil being blown into the sky as giant clouds of soil. 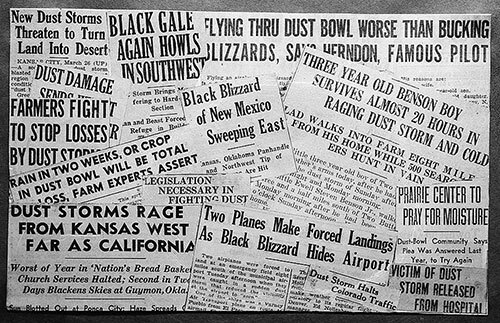 These “black blizzards” caused havoc from Colorado to Canada and as far east as New York City. Many large cities were enveloped in a cloud of dirt for hours on end. The result was thousands of American families losing everything and being forced to leave their farms. At its height, people were losing the modern equivalent of $450 Million in assets every day. 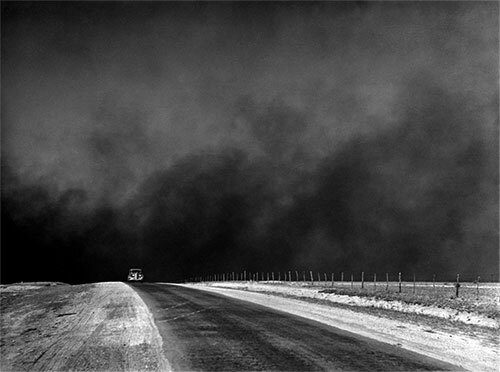 The Dust Bowl was an example of what can happen at scale due, in part, to human intervention. However, erosion is a major component in all sorts of failures. In Austin, two dams failed within 15 years of each other due to heavy erosion of the footings. A century later, Austin issued its first ever mandatory boil water order due to heavy amounts of suspended silt from runoff and flood control measures. Grass plays a very important role in retaining top soil. 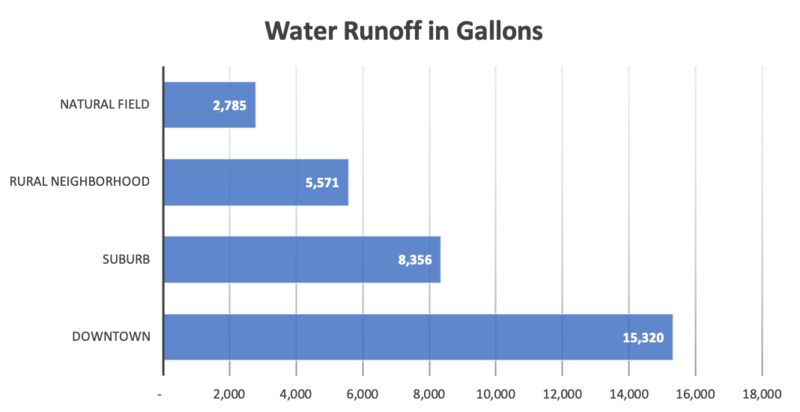 There is a substantial increase in runoff volume that comes with urban sprawl which can greatly increase localized and downstream flooding if there’s insufficient retention area capacity. These combined effects make turfgrasses a very important part of our ecosystem. Retaining a good mix of vegetation in our urban designs is simply in our best interest. Beyond the aesthetic appeal, vegetation such as lawn grass helps to offset the impact we have on the Earth, and ultimately each other. The post Environmental Impact of US Lawns appeared first on Lawnstarter.